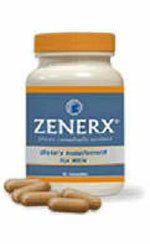 Cenegenics is founded in 1997 and claimed to pioneer the development of Age Management Medicine (AMM). 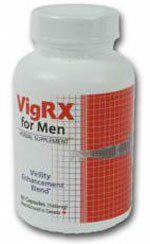 It is a widely known age management practice, with personalized Elite Health Programs that are said to be built on evidence-based, cutting-edge science “to help you achieve peak vitality at any age.” Among its different products is the Natural Testosterone Formula, which intends to support the natural production of testosterone and other androgens by gonadal tissue in both men and women. 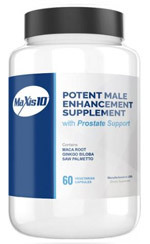 This male enhancement supplement is also formulated to support how your tissues throughout the body respond to testosterone, which governs many male characteristics such as deepening of voice, muscle and bone growth, and even sexual desire. This is done through supporting the function of testosterone-producing glands in men and women, and by supporting the wellness of testosterone tissues through the use of herbs that mimic testosterone action. Cenegenics Medical Institute has drawn great attention since its inception in 1997 with its scientific approach to aging management. We laud its hormone optimization through the Cenegenics Natural Testosterone Formula, which derives the testosterone-related benefits of herbal extracts such as tongkat ali. It therefore poses itself as a good alternative to synthetic formulations that many athletes and men worldwide turn to for boosting their testosterone. However, we are in want when it comes to comprehensive information about the supplement, including scientific studies that will back its positive action. For a company its size and fame, Cenegenics needs to deliver further details on how it works – and compare to other pills that reign the market these days.